Nyumbu Game is a 4000 ha private game ranch, located 36km north of Brits and owned by Norman Adami. Nyumbu Game – a game farm specializing in breeding East African Buffalo, endangered antelope and a variety of other attractive species. Nyumbu Game breeds exceptional animals, focusing on superior bloodlines and nutritional health. Nyumbu Game aims to be among the most admired and respected game ranches in the Industry. Acquiring superior genetics of all species to produce outstanding offspring. Nyumbu Game – a highly regarded and reputable wildlife ranch. Located just 35 kilometers north of Brits, Nyumbu Game, previously known as “Wildebeestfontein”, is a game farm specialising in breeding East African Buffalo, endangered antelope and other attractive species. These include Roan, Sable, Intermediate Zambian Sable, Golden Wildebeest, Rhino and Black Impala. Breeding exceptional animals requires careful focus on superior bloodlines and nutritional health, a philosophy that owner Norman Adami does not compromise on. These principles have been applied in carefully building breeding herds of excellent conformation and horn length. In keeping with this philosophy a strong emphasis is placed on obtaining the very best stud animals. A practice which led to the acquisition of renowned Buffalo Bull “Tyson” in September 2009. Visitors are always welcome at the farm to view animals or to share/discuss game breeding prospects. This can be arranged by contacting Norman or JP directly. We specialise in breeding East African Buffalo, endangered antelope and other attractive species. These include Roan, Sable, Intermediate Zambian Sable, Golden Wildebeest, Rhino and Black Impala. Breeding exceptional animals requires careful focus on superior bloodlines and nutritional health, a philosophy that I do not compromise on. Nyumbu Game is a highly regarded, dedicated and proven rare game breeding operation. 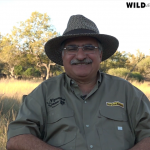 Nyumbu Farm is owned by Norman Adami, a long time South African Breweries executive and quintessential beer man, who since the early 90's, pursued his passion for wildlife when he first started the game farm. 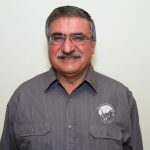 Norman is also a member of the Board of WRSA, the representative organization of the Wildlife industry of South Africa.